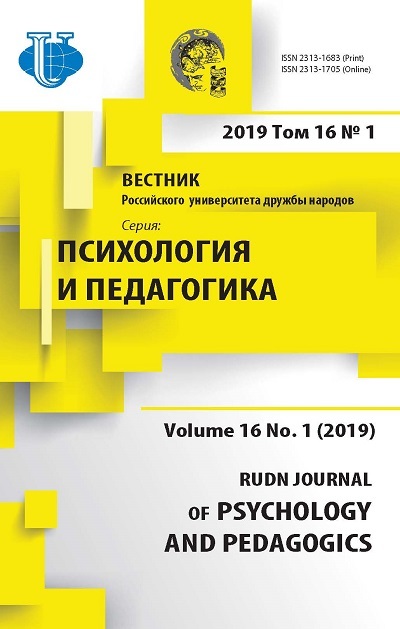 “RUDN Journal of Psychology and Pedagogics” is a quarterly scientific peer-reviewed journal on the problems of psychology, pedagogy and education. The journal has been issued since 2003. The founder and publisher of the Journal is Peoples’ Friendship University of Russia (RUDN University). 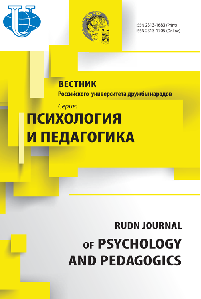 The Journal is intended for publishing the results of the fundamental and applied scientific research of the Russian and foreign scientists on the current trends of psychology and pedagogy in the form of the scientific articles, scientific survey materials, scientific reports, reviews, historical background information devoted to the prominent figures of the Russian and foreign science. The articles can be published in Russian, English, French, German and Spanish. The Journal publishes papers on a wide range of issues of psychology and education, and the results of interdisciplinary research. International Conferences on Psychology and Education. Rubrics are constantly updated and reflect the current trends in the development of modern psychology and education. The Journal is included in the list of the periodicals, the publications in which are accepted for the consideration by the Higher Attestation Commission of theRussian Federationwhen defending the theses for a candidate and doctor's degrees (No318 inthe updated list from January, 27, 2016). The database of the Russian Science Citation Index on the platform of the Scientific Electronic Library provides full-text versions of the articles published since 2003: http://elibrary.ru/contents.asp?titleid=25721. A new list of peer-reviewed scientific publications is posted on the website of the Higher Attestation Commission of the Russian Federation. You are welcome to participate in the International Conference “PSYCHOLOGICAL AND PEDAGOGICAL RESEARCH ON CONTEMPORARY EDUCATION” at RUDN University (Moscow, Russia) on 19-20 April 2018, with your papers and poster presentations as in-person or virtual. Khotinets V.Y., Kozhevnikova O.V., Vyatkin B.A., Vologdina V.A. Gaus E.V., Pronenko E.A., Vasilyeva O.S. Sitkina E.V., Tregubenko I.A., Belyaeva E.A., Isaeva E.R. Rossikhina O.G., Ermakova P.V., Aleshchenko O.A. First and Only Russian Psi Chi Chapter: 5 years at the RUDN University! Novikova I.A., Tarkhova V.S., Kardashova S.Z., Kharitonenko A.A.